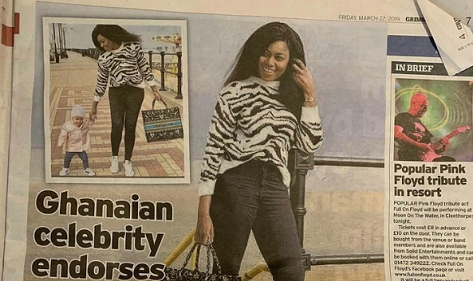 Ghanaian actress Yvonne Nelson has featured in a United Kingdom newspaper over her latest photo with her daughter, Ryn Robert. 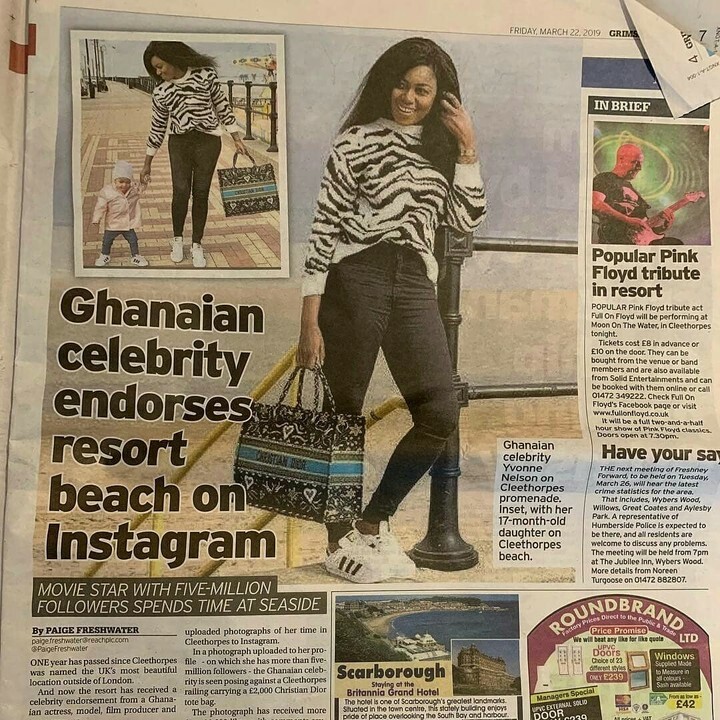 Well it’s her baby daddy’s local paper. 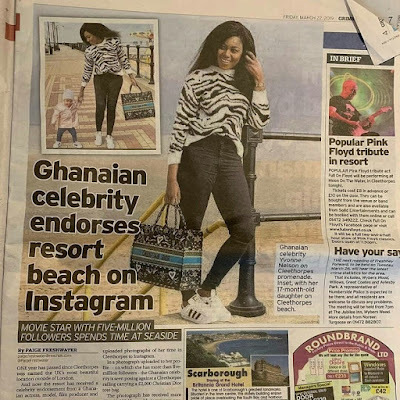 The actress and her daughter had splashed photos of them enjoying some cool breeze at the beach recently. Yvonne wore a black and white pullover over a pair of black jeans with Adidas sneakers. While, Ryn in a similar style, wore a shiny pink jacket over a blue pair of jeans and also with the Adidas sneakers.